At the time the poll info was sent to Lumintop the XP-L HI was the winner. The Samsung was runner up…. 2nd place. The poll was slated to end around 22 June. So as has been said, at this point…. it is what it is. …….. XP-L HI / (#1 poll choice) & Samsung / (#2 poll choice). Instead of relying on a poll from folks never had the light in the hands I trust Toykeepers preference for the HI LEDs. It would be nice to see / hear sth. from the 3th prototype. It would be nice to to know the leds Lumintop will offer. Is there a decision for the optic? It would be nice to know how we order and how long we can order. I am on the list for several lights and it would be nice to order only one first and if I like it the rest. And while we all realize it is a preference that we each have individually. I too am looking forward to that beautiful beam…..
…………. of the 5000K (or close) XP-L HI. Those are two VERY different LEDs though.. The (overrated and expensive) XP-L HI has the smaller die and no dome, but is popular with DD FET switch circuit because of its high Vf. Good for small optics like 20mm triples with still a bit of throw. The Samsung is probably just as efficient, maybe even a little more iirc, but has a big die and a dome, so it will have a large floody hotspot. But the tint and CRI are pretty good. /\ … Yep… .. Fingers crossed for both versions. The (overrated) XP-L HI has the smaller die and no dome, but is popular with DD FET switch circuit because of its high Vf. They are indeed very different LEDs. 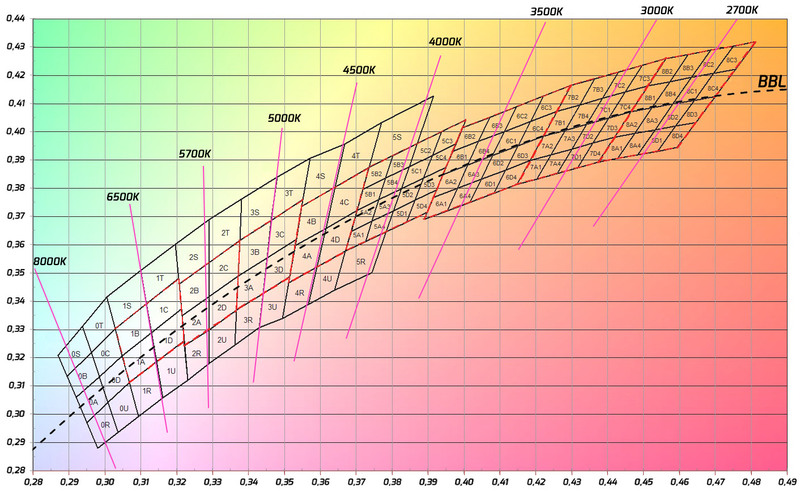 However, the reason I like XP-L HI isn’t because of its high Vf… it’s because of the beam quality. When I voted in the poll, I hadn’t actually tried LH351D emitters. It sounded really nice from what I had heard though, so I ranked it second. But after trying it (LH351D 5000K 80CRI) in person, in both 10511 and 10507 optics, I would rank it last. I don’t like the beam with either of the optics. With 10511 it’s smooth but way too floody. With 10507 it’s less floody but the beam looks a lot like a zoomie in wide mode — a flat(ish) wide circle with fairly sharp and colorful edges, and virtually no spill. Out of all the triples I’ve tried, my favorites for beam quality are XP-L HI and Nichia 219B, both in 10511 optics. But after trying it (LH351D 5000K 80CRI) in person, in both 10511 and 10507 optics, I would rank it last. I don’t like the beam with either of the optics. Well thats good to know. Got any beamshots? just curious. The emitter type isn’t something which has a “right” answer. It’s about personal preference. - I would normally flock over to 95cri. But when you build a house you normally ask the expert, the architect, what would you do? And the answer was HI led cause beam distribution is nicer. - When Toykeeper, Djozz, Texas Ace (and a few others I forgt to mention) say this lamp with that config is nice you never get a bad light. - I plan to get two Hi and one Samsung version. Get an additional triple MCPCB with Samungs and slice them. And replace one Hi with that. Anyway, what I’m more interested in is hearing about is if any of the earlier prototypes have been seeing much use, and how they’ve been doing. I think you’d been carrying one around. Don’t remember what they put in that one. It’s not quite like that though. You’re asking someone who likes to drive autocross what they like in a car, and then assuming that what’s good for them is good for you, even if what you’re looking for is a car to carry your family around and carry all your luggage on trips, or maybe to go drive on a rough road to a campsite. And… I have to point out, TK does have some differences in visual perception, even above usual. So it’s really not an unconditional endorsement if someone says they like something because it’s better* in some aspect. (may not be an aspect you care about, may only seem better to them, etc.) That’s the point. Sure, you’ll end up with a light that’s good at /something/. But if you’re looking for a light that you can use for the things I’d like, you’ll find that I want something with good CRI within the 4000-5000k range, reasonable in most other aspects, without serious color shift in the beam. That’s because what I imagine I’d use this for is mostly for only up to maybe 300 feet away, and I don’t need incredible throw for that. sometimes I’d be using it to light up something near me very evenly and with correct color, so that I can either compare the color to another item, or take a picture of it, or whatever. Sometimes I’d turn it on minimum just to get around in the dark. Different purposes. Not trying to shine down a narrow snowy road to find an owl in a tree? Don’t grab your D1S. Anyway, I’d like to put this to bed. Any other fw3a related stuff we could talk about instead of the emitters? Any other fw3a related stuff we could talk about instead of the emitters? What kind of lanyard does it come with? The XP-L HI has much more to love than just a high Vf. It has been one of the most consistently beautiful beams with a great tint. The only LED that can beat it in those two aspects is the 219B, IMO. I understand that many people are CRI freaks, but if it comes at the cost of terrible tint, I’m out.The 219C has been terrible every time I’ve seen it, and reports of the 351D seem to lean that way as well. The 219C has been terrible every time I’ve seen it, and reports of the 351D seem to lean that way as well. Interesting, I know the 219B is the favorite child of the family, but there are lots of lights out there with really nice, pure neutral 219Cs. Yeah, some batches are more green-hued now but I’ve had plenty of bad tints with the Cree lottery too. Supposedly the batch of 351s for this light should be not-green but I’ll admit TK’s description of a “colorful” edge to the hotspot is a bit concerning. +1 on the Cree HI emitters all having great tint though. I just hope there is an option for lower temp than 5000k on them for this light. She used a 5000k 80CRI LH351D. 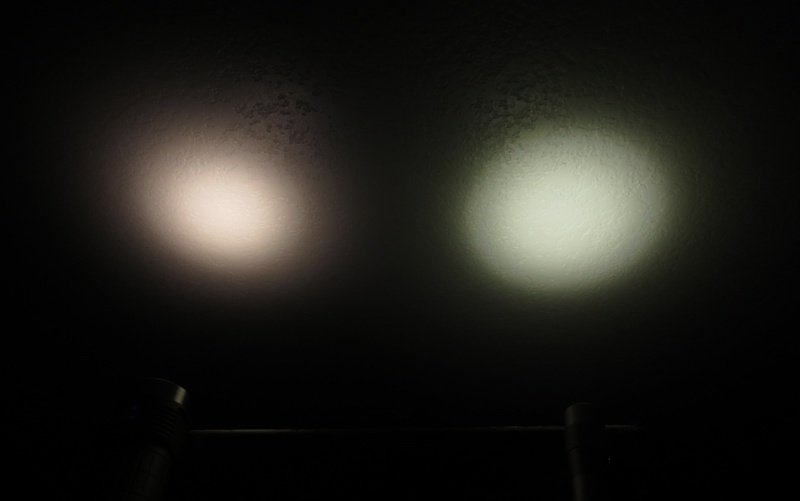 I can say that the 4000k 90CRI LH351D version looks miles better than the one Toykeeper tested. Looking forward to that beautiful XP-L HI beam. Very interesting ‘real world’ findings by TK. please put me down for another one please for a total of 2. I’m in for two, please! Hopefully someone thinks about a lanyard hole without the need of a clip! In terms of tint and CRI yes. But the beam patterns would be the same. Toykeeper mentioned that having tried it with 10511 and 10507 optics she dislikes the beam pattern of the LH351D. I think this sounds like a nice, useful beam. I do own a good zoomie and find that kind of beam fine up close. The edges of the beam don’t matter so much to me because I’d be using the middle of the beam to illuminate stuff most of the time anyway. It may not be aesthetic on a white wall, but it doesn’t affect my ability to use the light to see things. But it’s not for everyone, nor for all the time. There’s a reason I’m on the list for four of these, which will be getting some different emitter/optic combinations. So, here’s the thing. What a light looks like on a white wall is like looking at a computer screen; it could be a mix of a red, green, and blue and you wouldn’t know it. The part where CRI comes into play is when you actually go to use the light, and you realize that when you look at the same object under two different lights, it’s not just colored by the tint of the light used… if there’s colors that are missing in the spectrum, you can’t see those colors with that light. In most cases, it just makes things look washed out, or discolored, or pale, or something like that. Often, a person’s face looks less healthy due to a lack of enough red in the spectrum. In the extreme case, you don’t just lose the ability to distinguish colors accurately. If there’s an object that’s a deep red, for instance, and your led doesn’t have much of that color, the object will look black which is not at all what you might expect. (If it’s a mix of colors, you’ll see whatever remains – maybe a less saturated red will look closer to a grayish brown, or something like the palm of a hand will look a bit blue-green compared to normal. In the extreme case of a pure red light, if you have an object that’s got text in a pink color, then under a very red light, it will be hard to read that against a white or gray background. That’s the thing about CRI. If you have a white wall, you can see when a light has an odd tint that might affect your perceptions. But if you have a low CRI, which has a tint that seems nice and white, you could actually not realize that you’re seeing everything wrong. That’s how you might end up buying clothes that end up looking different when you bring them home, to give a common example. And that’s why, given that my ability to adapt to varying color temperature is functional, I am happy to work within a range of color temperatures I find acceptable, but I do not want a light that is too terribly lacking in some part of the spectrum compared to a black body equivalent. To drive home the point, low pressure sodium lamps are about as bad as it gets for CRI. 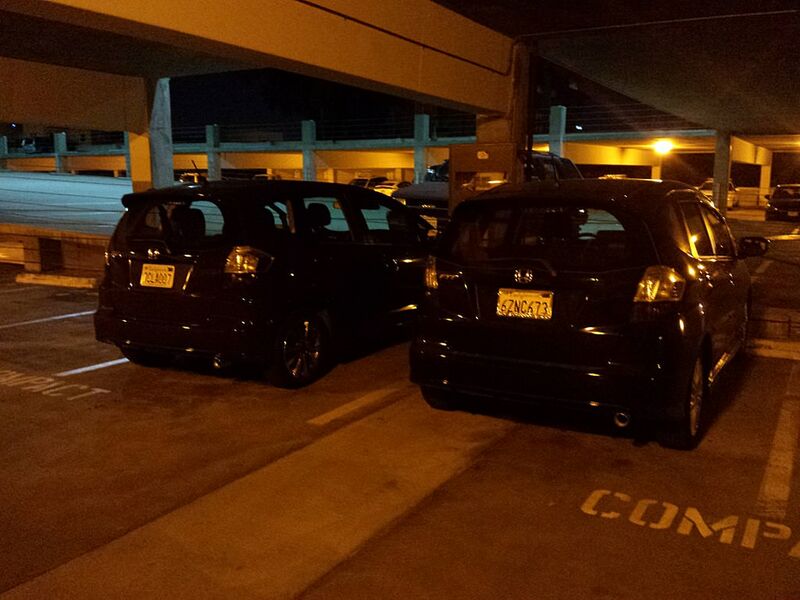 The car on the right in this photo is actually black, but the car on the left is bright red. A CRI 70 LED is nowhere near this bad, but you get the idea of how poor colour rendering can distort the appearance of something. You’d really rather a XP-G3 or G2 … ? The LH351D looks less bad in a 10507 optic than any other emitters I’ve tried… but I still haven’t seen a 10507 beam I liked. I think this sounds like a nice, useful beam. I do own a good zoomie and find that kind of beam fine up close. It’s certainly interesting, and I’ve found it preferable to the mule-like beam it had with a frosted optic. It’s just not what I’d generally choose. Welcome to BLF, but … this light does not have any holes except the ones in the clip. The clip is intended as a permanent part of the light, not easily removable. Anyway, what I’m more interested in is hearing about is if any of the earlier prototypes have been seeing much use, and how they’ve been doing. I think you’d been carrying one around. Yes, I’ve been using the FW3A prototypes daily for quite a while now. Proto2 works nicely, aside from the green emitters I put in it, the need for kapton tape around the front of the inner tube, and the not-so-great fake silver anodizing. So I hope proto3 fixed the issue where the inner tube could make electrical contact to parts it was not supposed to touch. And I hope the anodizing will be updated. And I hope the requested emitters will happen. With those taken care of, I’d consider it ready to ship. It’s not just about CRI for many of us. Beam quality counts a lot too. The example above of the two vehicles appearing black under low pressure sodium lamps is certainly dramatic. But, as the poster said; it certainly does not represent the difference between 70 CRI & 90 CRI. And tint is another thing…. why in the world would anyone prefer 4000K or even warmer?? . Oh yeah, personal preference. .
That same personal preference that makes 5000K – 5750K just about perfect for me & many others. …. the reason I like XP-L HI…. (snip) … it’s because of the beam quality. When I voted in the poll, I hadn’t actually tried LH351D emitters. It sounded really nice from what I had heard though, so I ranked it second. But after trying it (LH351D 5000K 80CRI) in person, in both 10511 and 10507 optics, I would rank it last. I don’t like the beam with either of the optics. With 10511 it’s smooth but way too floody. With 10507 it’s less floody but the beam looks a lot like a zoomie in wide mode — a flat(ish) wide circle with fairly sharp and colorful edges, and virtually no spill. Edit: Also, to the other post that just came in before I noticed it… just XD. It was a place to geek out in the 1990’s over your very specific interest and chat in real time. I thought it died around 2000… man I feel old. . . …. … . I just noticed the “Edit” a couple posts up. ….. Yep, XD is kinda how I feel too, about true died in the wool CRI baby commentary..
not “where” but “when” It was a place to geek out in the 1990’s over your very specific interest and chat in real time. I thought it died around 2000… man I feel old. IRC is far from dead. Some newer “collaboration” platforms like Slack or Discord have taken a bite out of IRC traffic I’m sure, but there’s still plenty of life in the original. I’d like one please. Thanks! I love every light I’ve bought so far! I love how it’s assumed that anyone that doesn’t like a certain High CRI emitter only uses their lights to look at white walls. The 219C has been anywhere from bad to terrible, in real world use for me. It’s actually good when using it in the great outdoors, but I mainly use my lights in the city, and in my house. Sadly, I have no white walls, but the white trim does blend in with the beige walls with the 219C’s I’ve tried. The XPL-HI 70+ and 80+ are a little better than the C indoors, far better in the city, and only slightly worse outdoors.